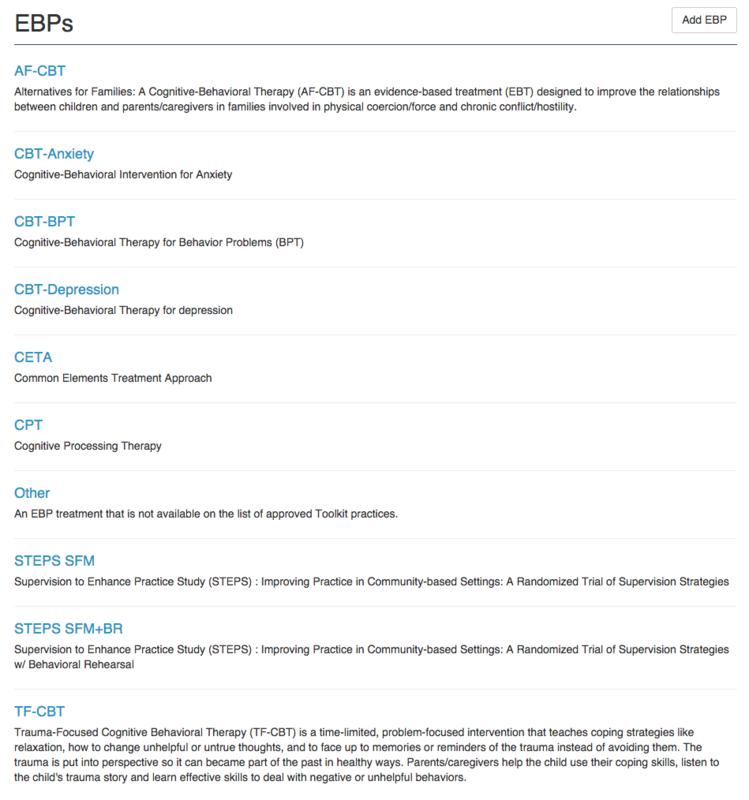 The EBP Toolkit offers annual subscriptions to organizations that train in evidence-based practice models for mental health. Note: If your organization plans to use Toolkit with hundreds of users, please contact us at info@ebptoolkit.com for information on enterprise pricing. 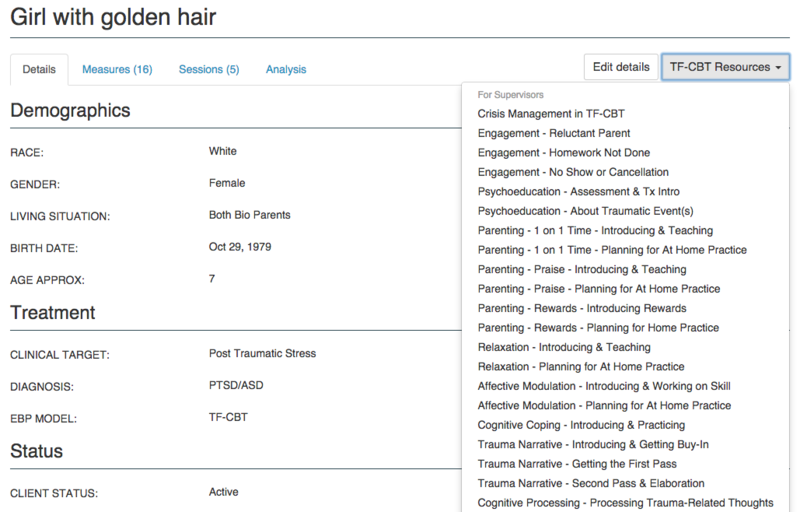 Client demographics, treatment model, status and custom data fields. A variety of assessment measures to choose from. 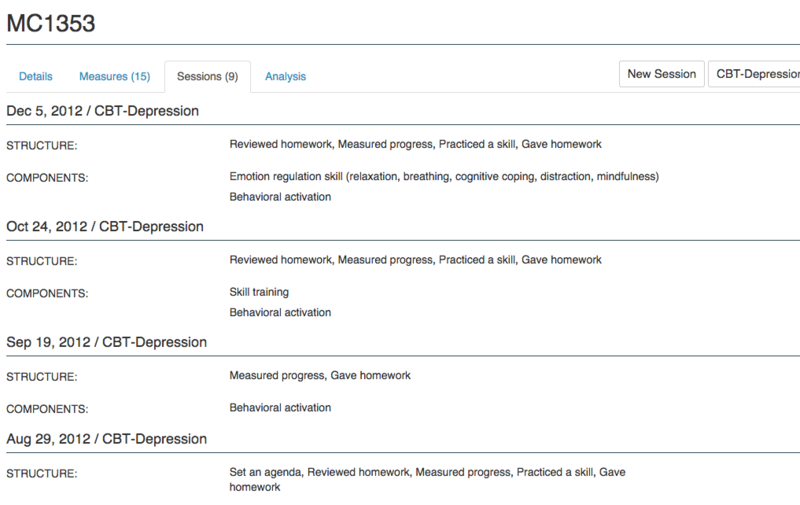 Track session components for each EBP model. 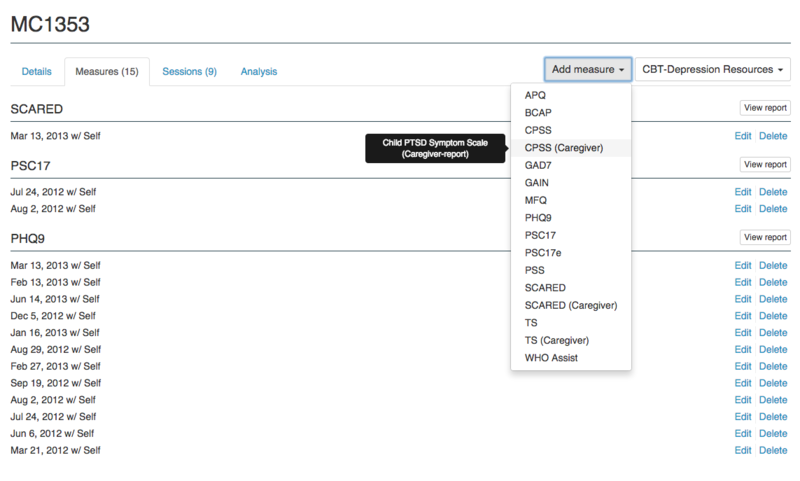 See it all together for a complete analysis of the client treatment. 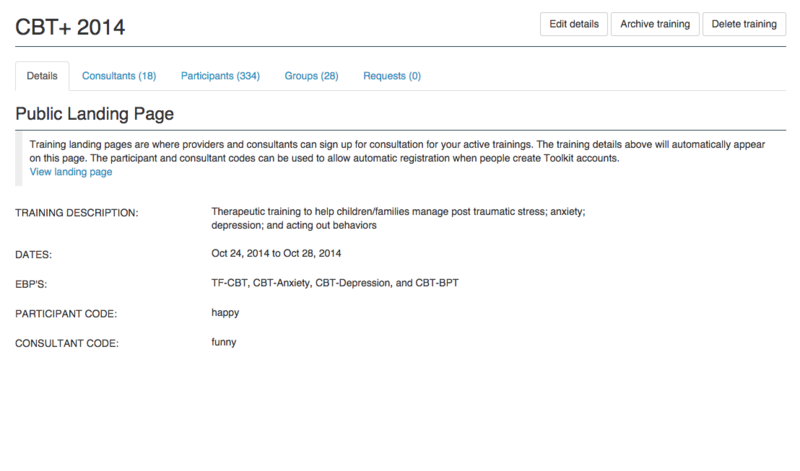 Setup training pages where consultants and participants sign up for Toolkit consultation. 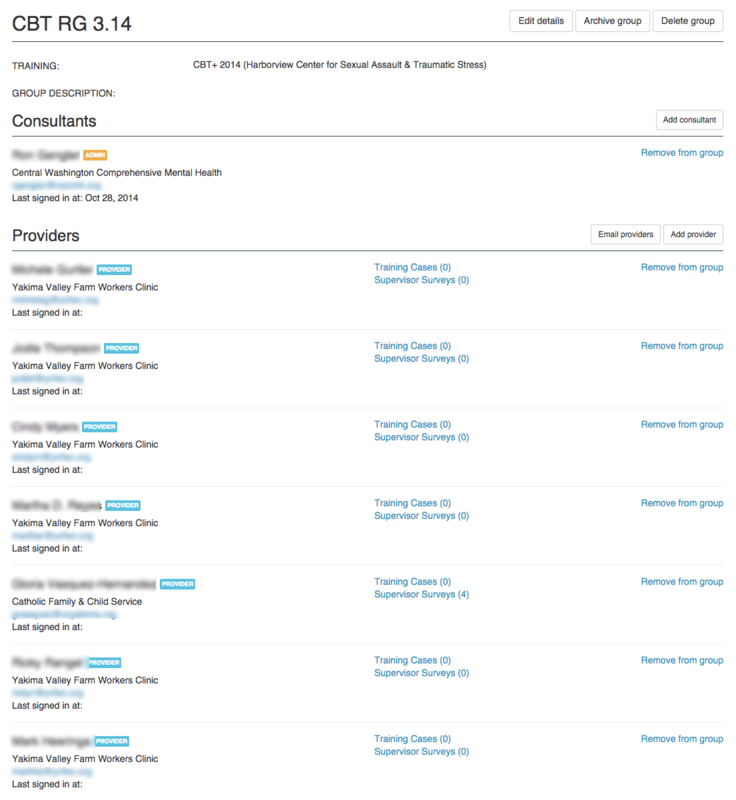 Consultation groups allow consultants access to participants cases for analysis and supervision. 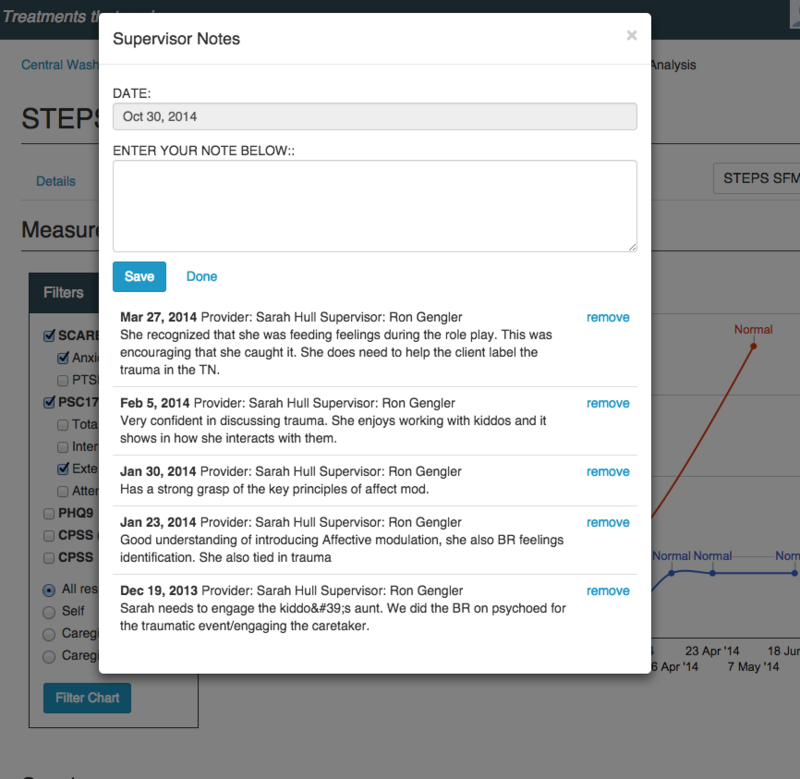 Consultants can enter notes and complete surveys from supervision meetings and calls with providers. 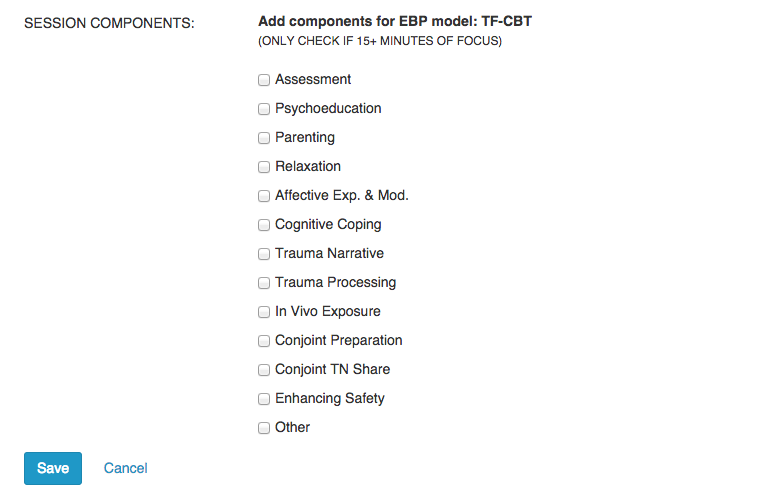 Toolkit includes support for common EBP models for Anxiety, Depression, PTSD and Behavior Problems in both children and adults. 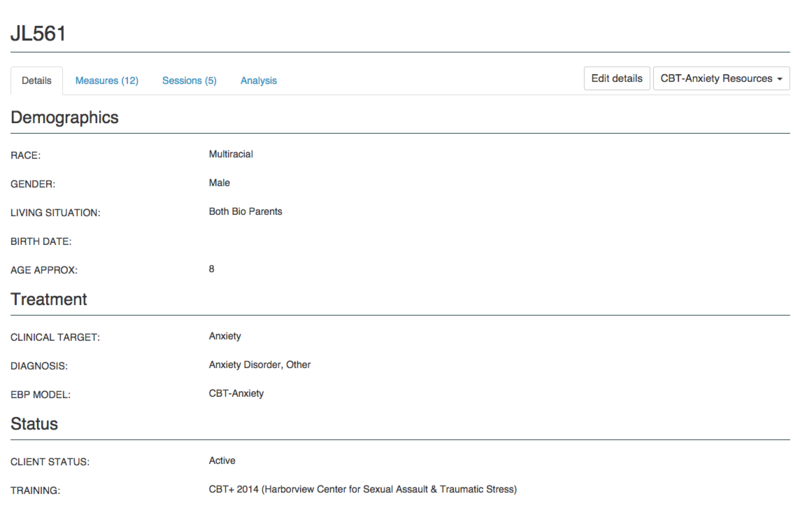 Each model includes standard components for tracking in client treatment sessions. Each model provides documentation resources and treatment guidelines.